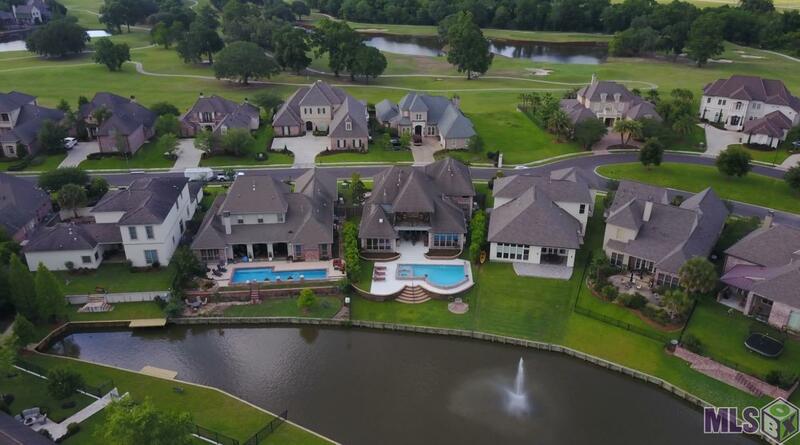 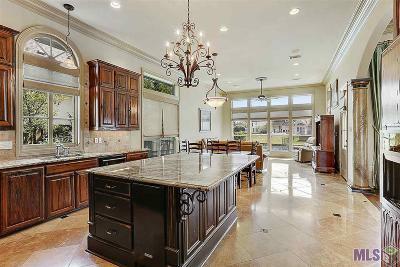 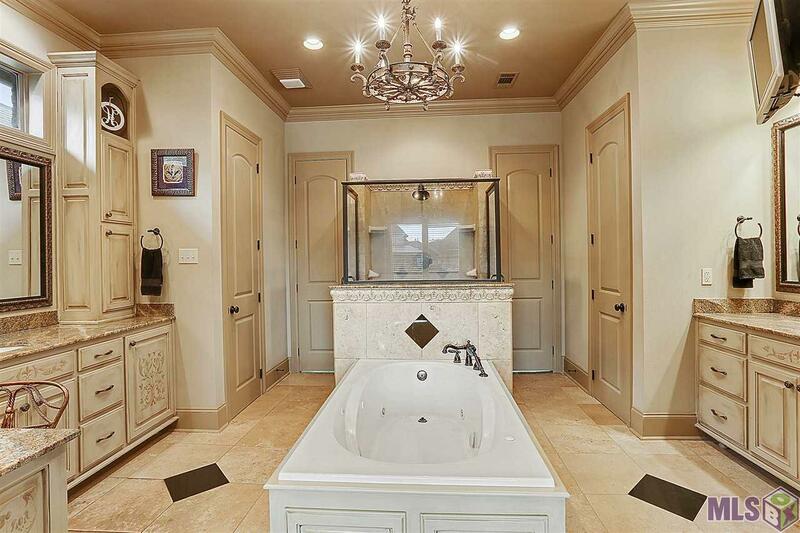 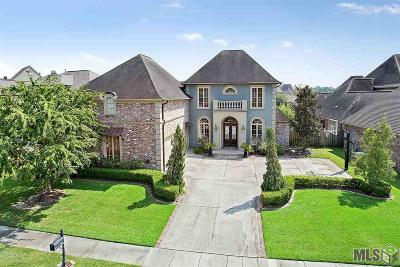 ULTIMATE LUXURY in the heart of Baton Rouge! 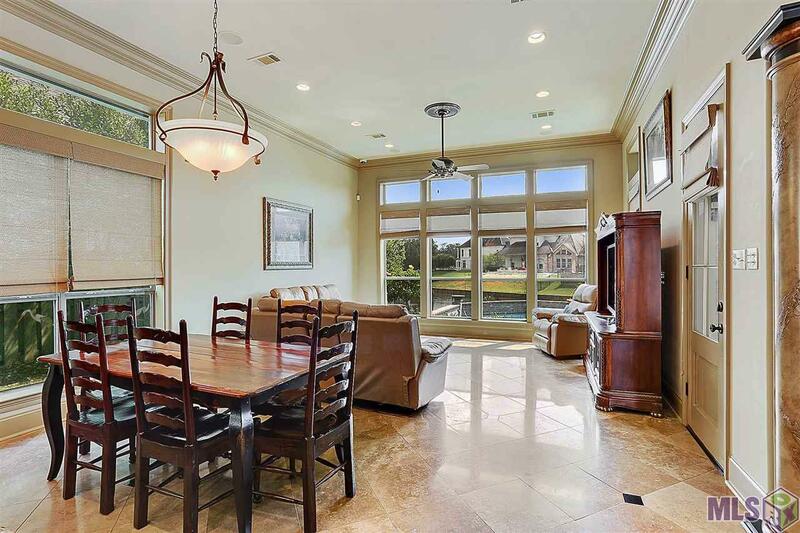 4BR/4BA/2Half Baths + HOME THEATER, GYM, OFFICE, GAME/REC ROOM, & OUTDOOR KITCHEN! 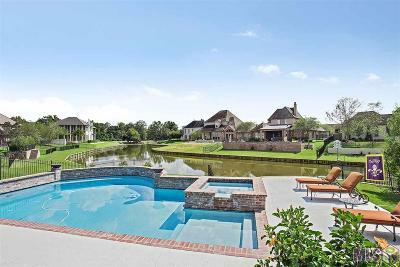 GUNITE SWIMMING POOL COMPLETE WITH HOT TUB and BULKHEAD! 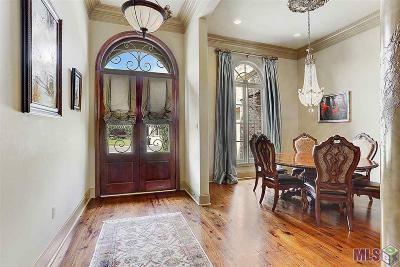 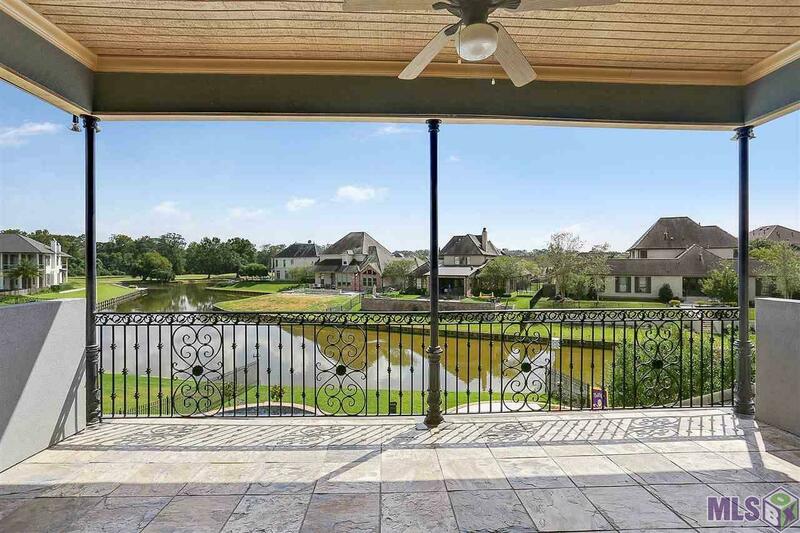 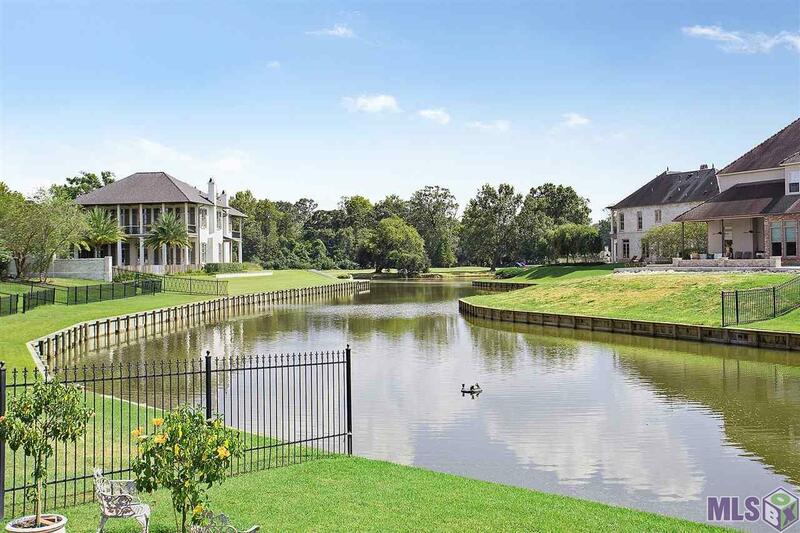 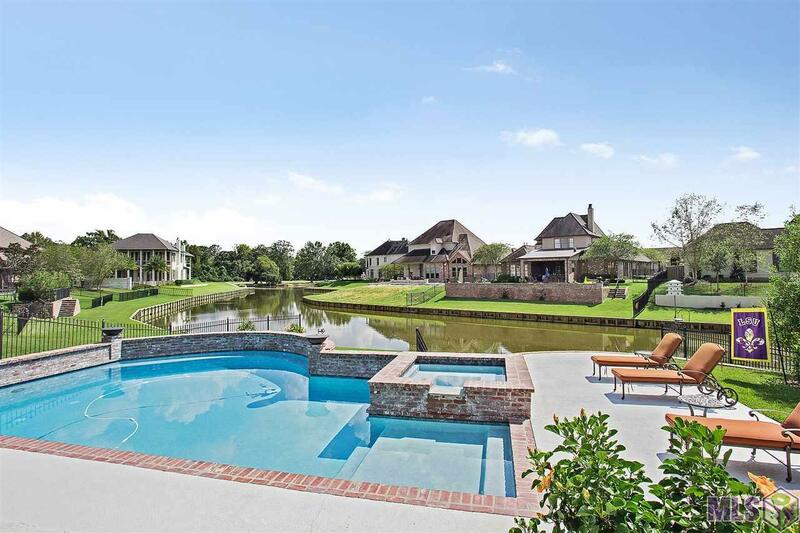 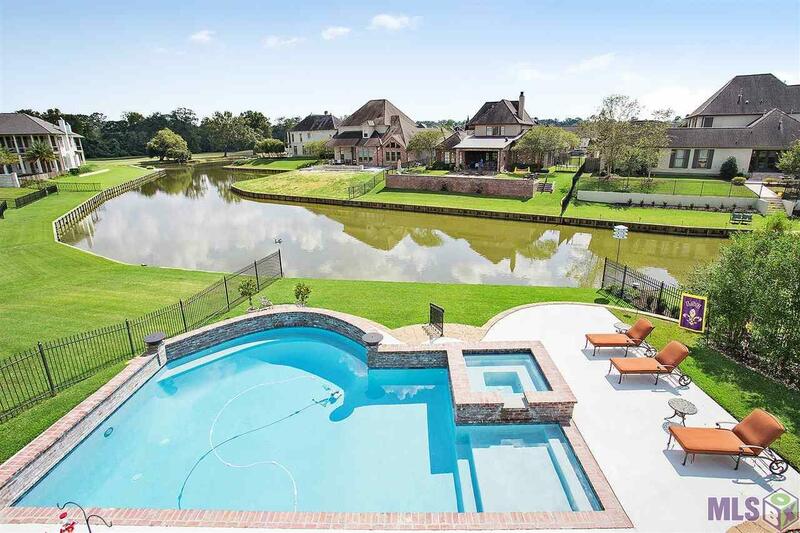 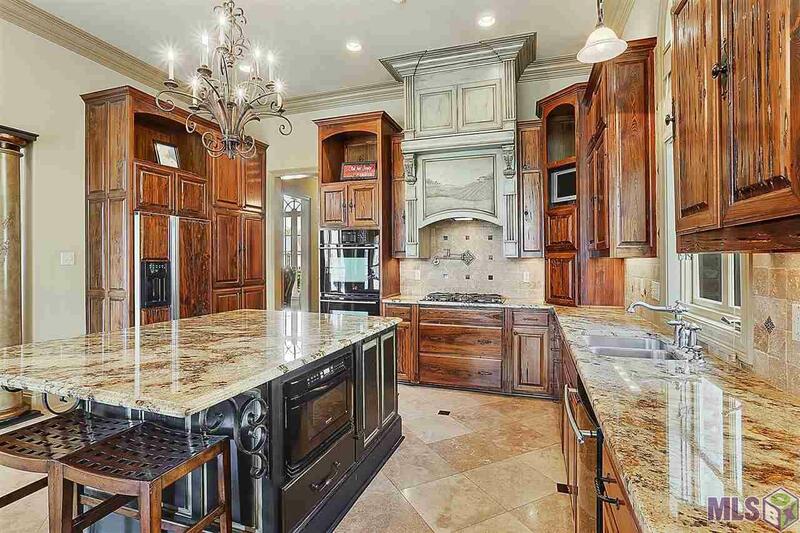 This magnificent home presents an elegant European Design by one of the premier custom home builders in all of Baton Rouge Alpan Developments. 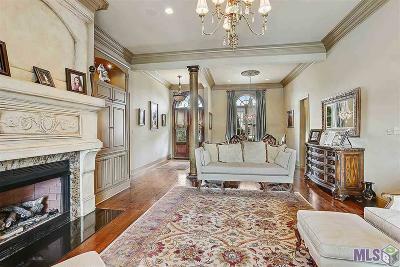 Charming 5" HEART OF PINE Planks & Gleaming POLISHED TRAVERTINE Marble Floors w/Granite Inlay, Grand Fireplace Mantle w/Granite Surround.. John Richard Aged Gold Chandeliers & Fixtures with Ceiling Medallions & 8ft Doors. Kitchen equipped w/ Beautiful Pecky Cypress Cabinetry, 5 Burner Gas Cooktop, Pot Filler, Ice Maker, Dual Wall Ovens, BUILT-IN REFRIGERATOR and Large Slab Granite Island... 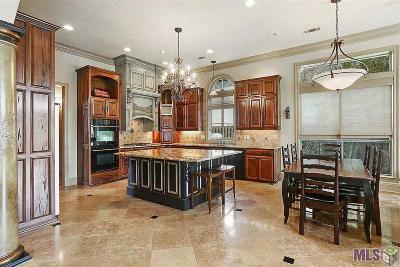 Adjacent to Kitchen is Breakfast Area & Large Keeping Room... Home equipped w/ BUILT-IN SPEAKERS THROUGHOUT as well as outside. 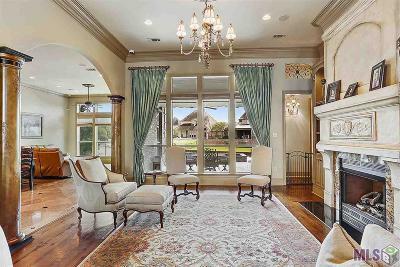 The Master Bedroom Offers Luxurious Silk Draperies, Recessed Ceiling, Plush Designer Carpet & a Romantic Chandelier. 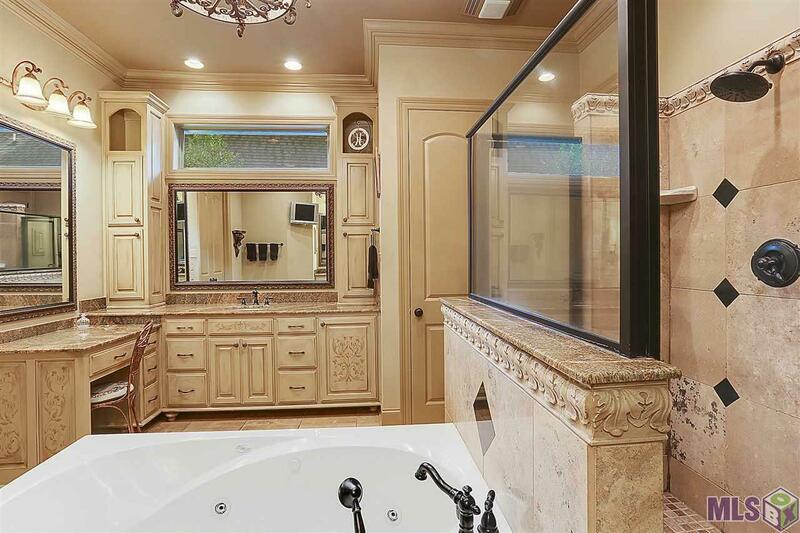 Master Bath w/his & hers sides, centered jacuzzi tub & spacious CUSTOM TILE SHOWER w/Dual Access & attached 17ft X 7ft Master Closet! 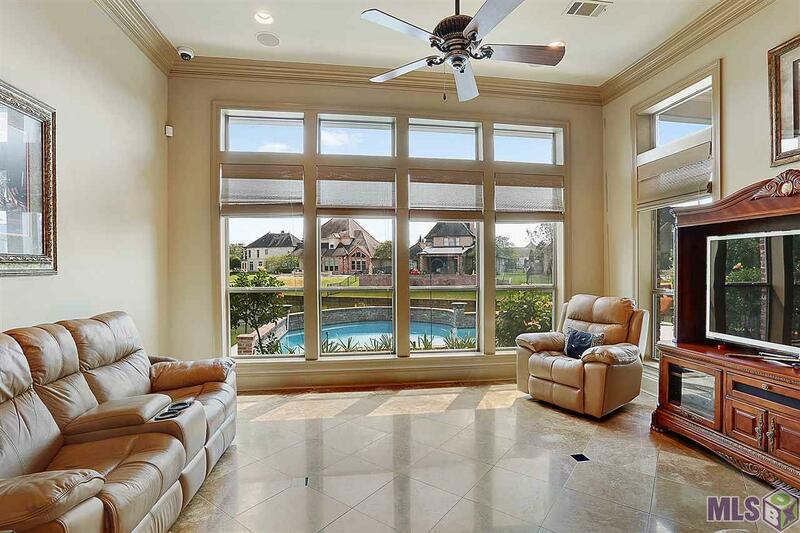 Home Theater w/110" Projection Screen, Complete Surround Sound System & Wet Bar. 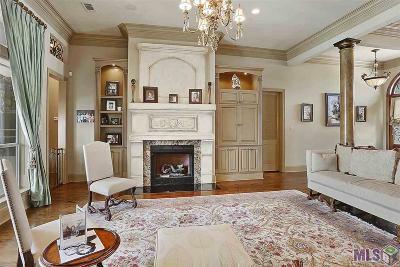 Plush Designer Carpet for Maximum Sound Quality & 8 Comfortable Reclining Leather Theater Seats. 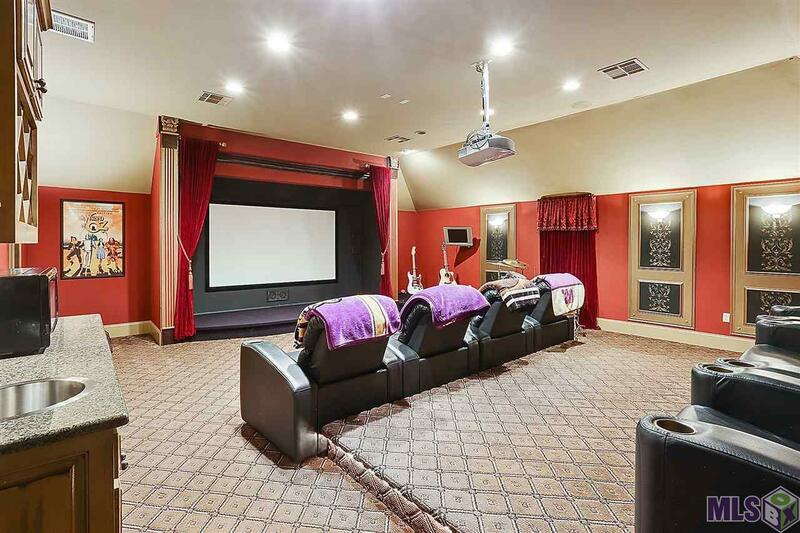 From the Home Theater to the Expansive Game/Rec Room, there is something for everyone! 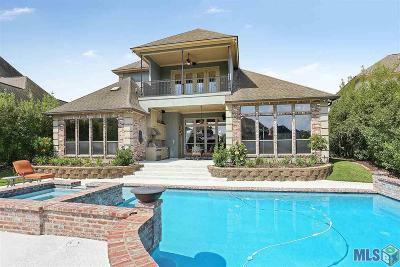 The Large Covered Rear Slate Patio & Outdoor Kitchen is the perfect place to enjoy summer nights overlooking the Panoramic LAKE VIEW. 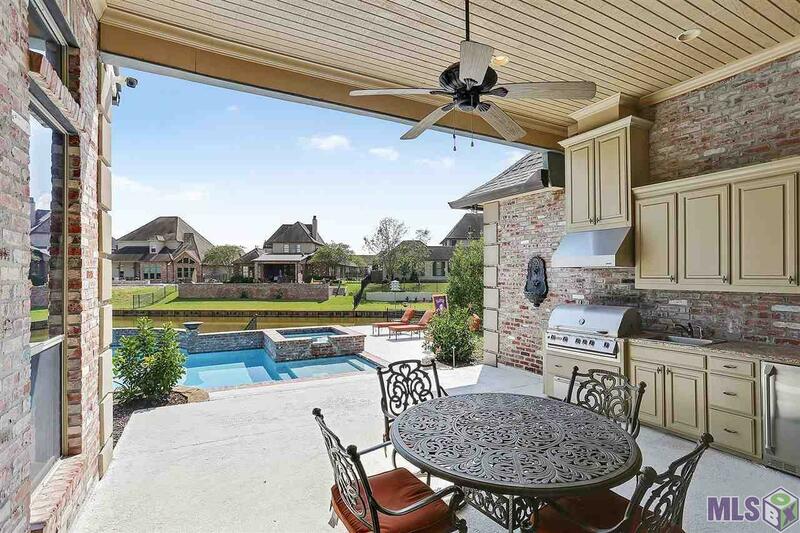 The Outdoor Kitchen is Equipped w/Stainless Warming Drawer, Mini Fridge, 36" Grill& Hood & Sink... LANDSCAPE LIGHTING & IRRIGATION SYSTEM on Timer. 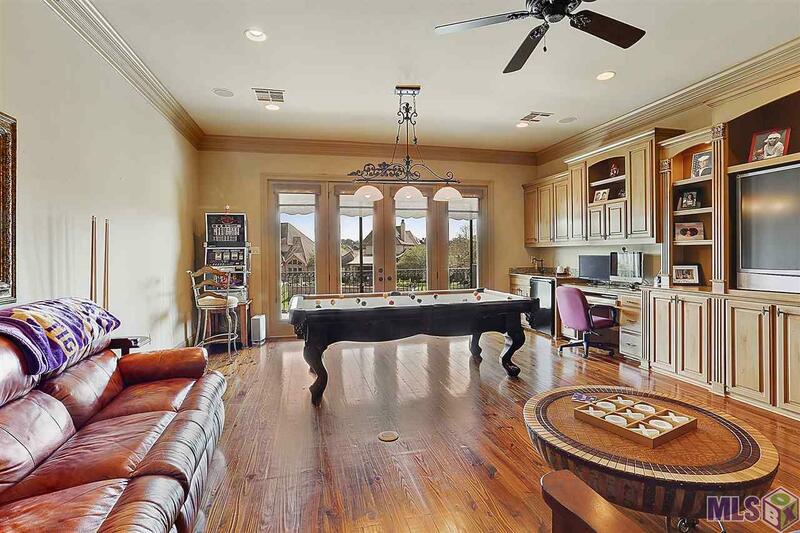 15 TELEVISIONS, POOL TABLE, BENCH IN GAME ROOM, THEATRE EQUIPMENT, PLUSH CHAIRS IN THEATRE ROOM, AND WIFI SYSTEM ALL REMAIN WITH THE HOME. This home is also competed with an 18 KW NATURAL GAS AUTO TURN ON GENERATOR.